Designed specifically for high school students and educators, eBook High School Collection contains more than 10,000 e-books that support a quality learning experience across all academic subject areas, including history, language, literature, science and technology. Content includes a selection of classic literary works, important historical documents and general reference materials. The collection also features a selection of teacher resources to support educators and administrators. Titles align with Common Core Curriculum Standards. Explora for High Schools provides hundreds of popular magazines and reference books for high school students. This resource covers subjects such as art, history, sports, and music. Explora for High Schools includes thousands of biographies and primary source documents, as well as photos, maps, and flags. Designed specifically for high school libraries, [db_link]MAS Complete[/db_link] contains full text for more than 540 popular, high school magazines. MAS Complete also provides more than 440 full text reference books, 85,670 biographies, 105,786 primary source documents, and an image collection of over 502,000 photos, maps and flags. 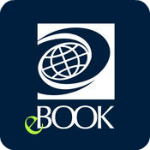 Locate books to read and learn more about fiction books and authors through Author Read-alikes, Feature Articles, Book Discussion Guides, and Book Talks.